Remember that time I went for cupcakes for a coworker’s birthday? Well I should have mentioned that we all shared a lovely wholesome meal beforehand at Palermo’s lovely natural bar and deli: b-Blue. I’d walked past this place many a time, and it always appealed to me, so I was elated to finally try it. b-Blue has a great menu of fresh lunch items and fresh squeezed juices, as well as an array of natural products for purchase. The ambiance is calm, and they offer indoor and outdoor seating on their lovely patio. 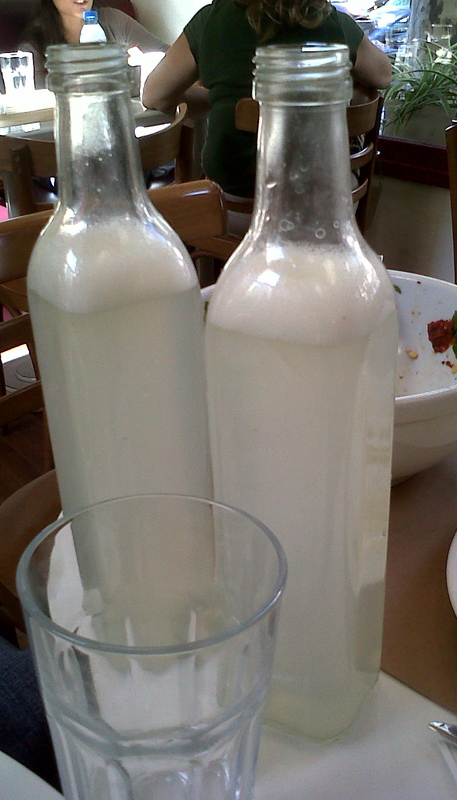 We started with some fresh squeezed ginger lemonade. It was sweetly refreshing, not at all tart or sour as I expected, with only the slightest highlight of spicy ginger. I loved their stylish carafes. Besides their impressive fresh squeezed juice options, their menu had an extensive array of fresh salads, tasty sandwiches or wraps, several varieties of bruschetta, stir-fried ‘woks’ and baked goods. They had a good variety of vegetarian options as well. 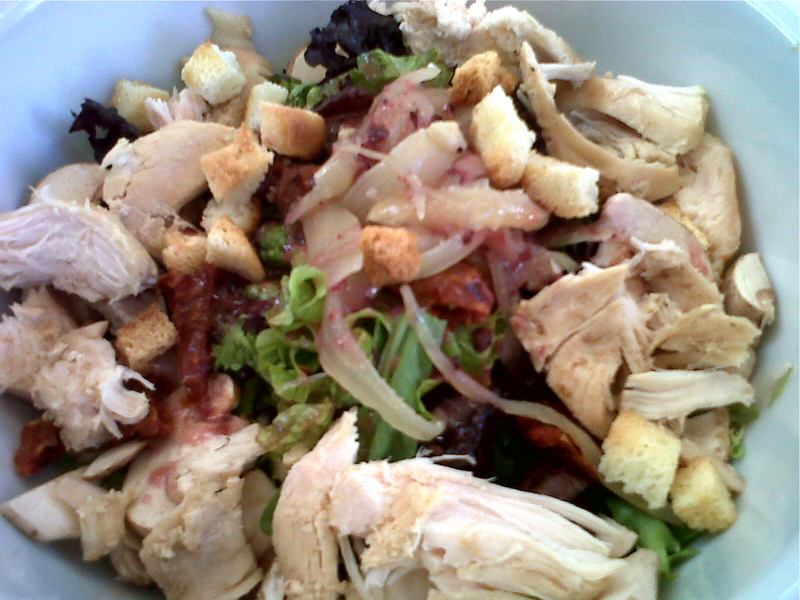 I tried a delicious salad that came with tender chicken, grilled onions, mushrooms and croutons. It was simple and savory. 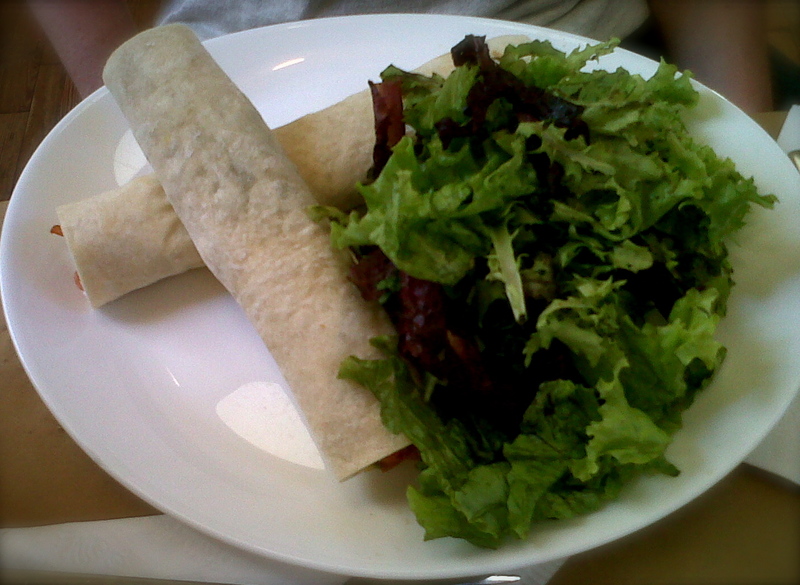 I think I was really craving the leafy greens. Someone else tried this pretty smoked salmon roll. 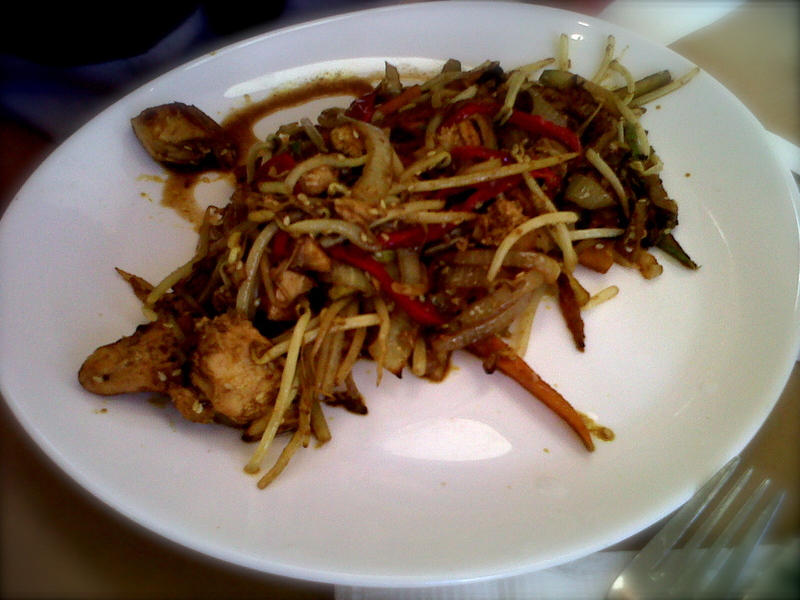 Also present at the table was this delicious chicken curry wok, with fresh peppers, onions and sprouts. b-Blue’s service was horrendously slow, as is unfortunately common in Buenos Aires, but we took it as a chance to indulge in a leisurely lunch. The food was delicious, and I will definitely be returning to b-Blue soon! Thanks to write about us. Thanks for the comment Rodrigo! I will definitely be back – the food is great! Hi, I love your blog! 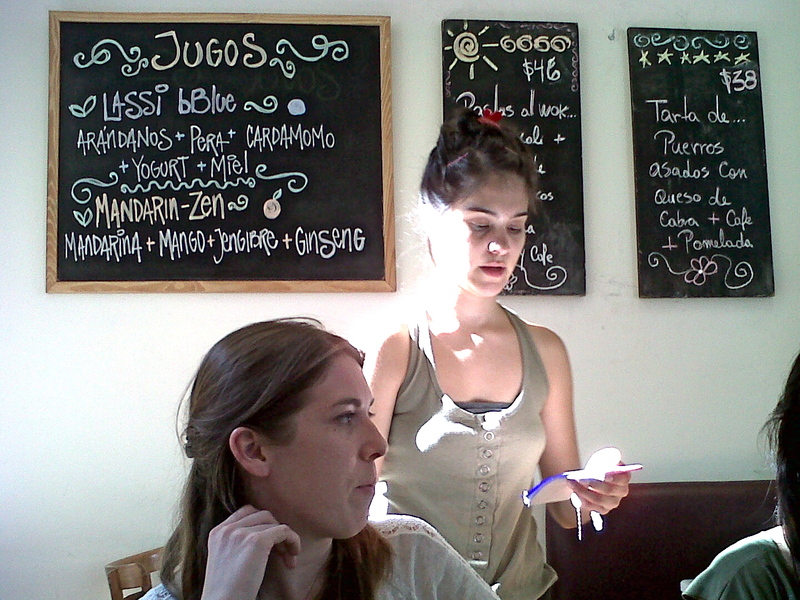 Almost as much as I love going to Blue, except I do agree that their service could be MUCH better (coming from an ex-waitress and cook) I live in Buenos Aires as well, I used to teach English, until I got a “real job” 🙂 We have a lot in common, I’ll be sure to come back!